Step 1: go to the Settings of your Android and enable the option to be able to download applications from unknown sources. 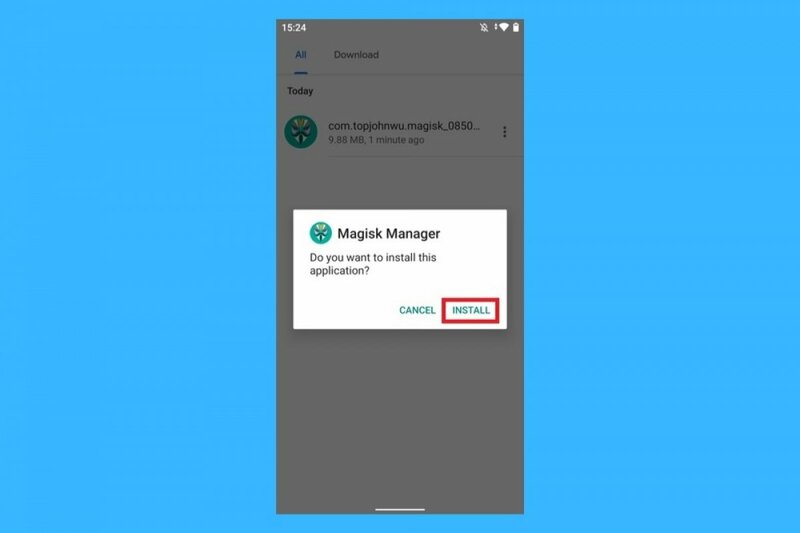 That will allow you to download any app that’s not on Google Play served in APK format, as is the case of Magisk Manager. Step 2: now go to Malavida and search for the application’s datasheet in the Android section. Once there, click on the green Download button and follow the steps indicated. Step 3: now, once you’ve downloaded the file, got the download folder or open the file from the notifications tray. Step 4: once you open the application, you’ll be asked if you want to install it. Simply click on Install and wait for the process to be completed. Step 1: open the settings menu of your operating system and go to the applications manager. Step 2: you’ll be shown a full list of applications installed on your device. Now simply search for Magisk Manager and click on it. Step 3: you can view information about the app and also access the options to uninstall it and force its shutdown. Click on Uninstall and wait for the process to be completed. That’s how easy it is to install and uninstall the application on your Android smartphone.